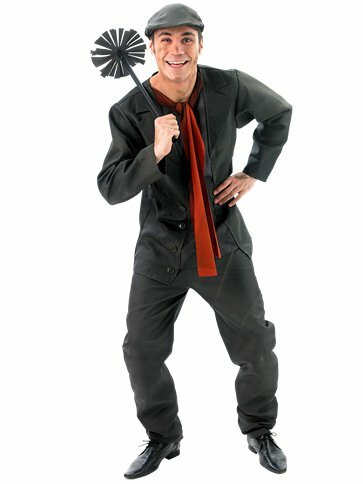 This officially licensed, four piece Bert Costume consists of a dark grey jacket with an attached mock shirt front and attached neck scarf. A pair of matching trousers with a comfortable elasticated waist, a co-ordinating cloth cap and of course not forgetting a sweep ! Want it Friday, 26 April? Order it within 2hrs and 0mins and choose Premium by 9pm Delivery at checkout.